Buy online our clothing and fashion fabric Fiore Cloque’ Organza Coupe’ M1-804. Luxurious organza jacquard fabric in soft yellow and pink, with a coupé pattern and cloqué floral design with brilliant details, for elegant ceremonial dresses. 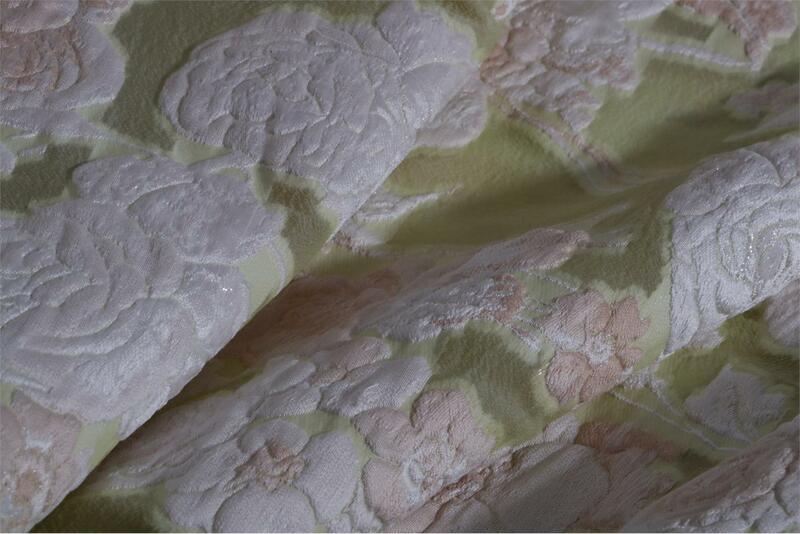 Yellow Mixed Flowers Jacquard fabric for Ceremony dress, Light Coat, Party dress, Shirt, Wedding dress.